Obituary for Patsy Lee (Gibson) Smith | Butler Funeral Home, Inc. 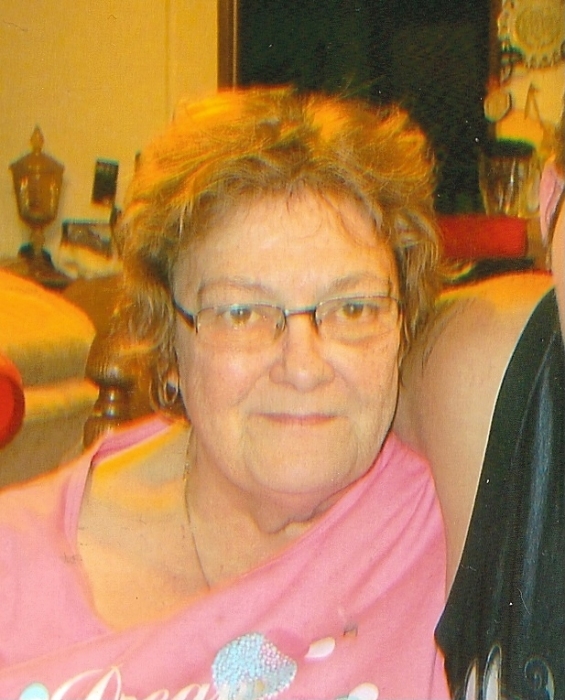 Patsy Lee Gibson Smith age 68 of Edmonton departed this life on Thursday November 22, 2018 at the Metcalfe County Health Care Facility. She was the daughter of the late Porter Gibson and Maudie Ford Gibson. She was a homemaker and of the Baptist Faith. Funeral services will be held 2:00 PM Sunday at the Butler Funeral Home in Edmonton with burial in the Alone Cemetery. Visitation will be from 4:00 PM until 8:00 PM Saturday and after 9:00 AM Sunday at the Funeral Home. Patsy is survived by her husband Nile Smith of Dubre, Kentucky. Two daughters, Rhonda Nunn Clark of Edmonton and Kathy (Timmy) Stephens of Edmonton. One brother Roy Joe (Becky) Gibson of Glasgow. Two step children Leslie (Mike) Smith of Glasgow and Libby (Tim) Burris of Burkesville. Five grandchildren. Justin Jewell, Patrick Stephens, J. P. Burns, Hellen Hicks, and Caleb Turner. Three step grandchildren, Buddy Whitlow, Mariah Smith, and Caleb Belcher. Two great grandchildren Natlie Jewell and Paislee Stephens. Three step great grandchildren Shelby Whitlow, Landon Davis and Addie Belcher. Besides her parents she is preceded in death by her son Gary Neal Perkins Jr. and a daughter Angela Dawn Perkins.